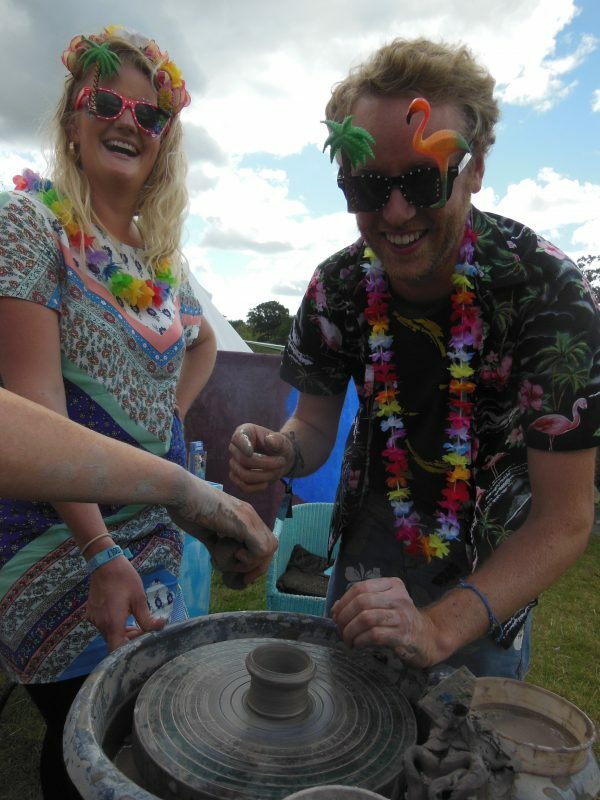 Ever fancied having a go on the potter’s wheel or wrestle with an uncontrollable lump of spinning clay? Visitors to the Fair will have the opportunity to do just that! 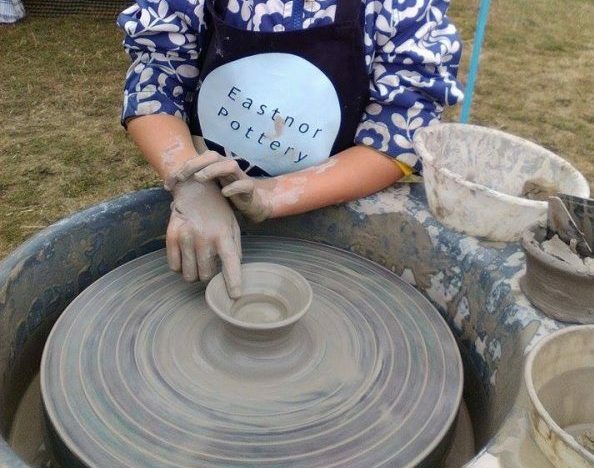 Eastnor Pottery & the Flying Potter will be on hand to guide participants through the five easy steps to making a clay pot on the potter’s wheel. No age restriction, no previous experience necessary, just a desire to create, have fun and get a little messy. And for those participants missing the gym, no bother as the potter’s wheel are propelled by pedal power. Great activity for both kickers and throwers! 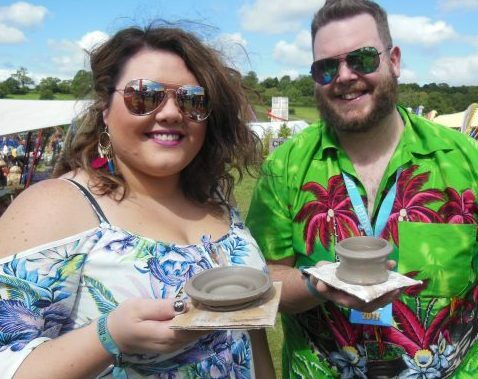 Take your little pot away with you at the end of the day to dry and paint at home – perfect Childwickbury Arts Fair memento. Eastnor Pottery is a family run business based in Herefordshire and established in 1994 by professional artist potters Sarah Monk and Jon Williams. As well as making and exhibiting their unique designs, the couple have a combined 50 years’ experience of working with thousands of workshop participants, all ages and abilities, all over the West Midlands and beyond.